If you love playing with your food, this latest Insta craze is taking it to the next level and trust us - you're gonna love it. People are taking everyone's favourite squishy green fruit (yeah that's right - IT'S A FRUIT) and turning it into edible art which, let's be honest, is our favourite kind of art. Our new favourite thing about avocados is this: not only are there so many different ways to eat it (hello avocado chocolate!) but it turns out, you can also Art Attack it. According to Insta, the most typical way is to cut it in half and carve a concentric pattern into the flesh, but people have also attempted to 'pixelate' their avocados, made creatures from the stones or - the absolute classic - created beautiful avo roses. These are just about as complicated to make as they look. 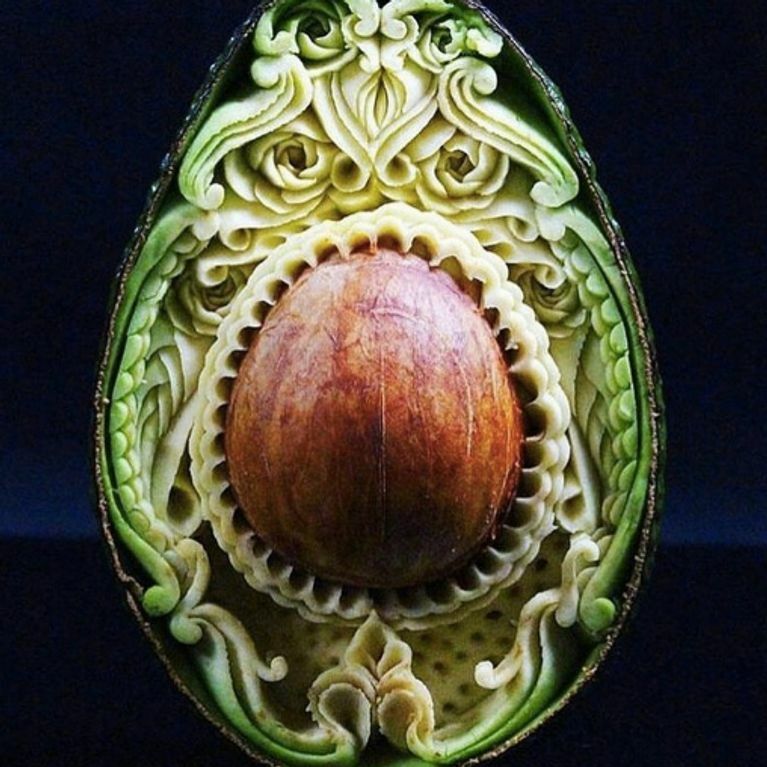 But if you fancied trying some avo art for yourself, Daniele Barresi shared a blog post on Bored Panda detailing how and why he makes avocado art. Daniele, a two-time fruit and vegetable carving champion, has an Instagram page jam-packed full of other amazing fruit and veg carvings he's made. And, it only took him an hour to create this crazy pattern in his avocado. There's plenty of amazing avo art out there, so clear your schedule for the next hour or so and prepare to be mesmerised.